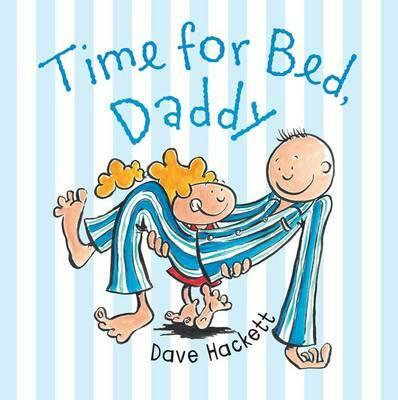 Time for Bed, Daddy is a humorous, fun filled picture book that turns the traditional bedtime routine on its head. Bright cartoon-like images and visual jokes follow a likeable and patient little girl with the monumental task of persuading her reluctant Daddy to -- go to bed! Parents will smile knowingly as this resourceful little girl uses every trick in the book to coax Daddy through the nightly bedtime routine with bubble bath, jokes and horsey rides. Finally, there is a quick monster check under the bed, a story to be read and a bedtime song to be sung. But, just as the little girl thinks the job is complete, Daddy appears, and he’s out-of-bed! This delightful story celebrates the special bond between dads and their kids and will appeal to both children and adults alike. Young children will love the role reversal aspect of the story and will no doubt be inspired to act out the story (which happened in my household with hilarious results).